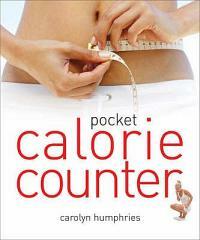 Caloric value: Caloric value is defined as the energy value of any edible material or drink in calories per 100 grams. It gives you an indication about how much calories you acquire by consuming 100 grams of any given stuff. Find the caloric value for various nuts, dairy products, fruits, drinks and also non-vegeterian food per 100 grams. We have divided the food and drinks in different related categories so as to assist you to understand the values better. For decades now, women have been removing unwanted body hair, using different techniques. Not only does it add to the woman’s beauty but it is better for her personal hygiene as well. Today getting rid of unwanted hair has become easier than ever. There are a number of easy techniques that you can use at home or you can visit a beauty parlor for professional treatment. Given below in some information about the different techniques that are available today. These are some tips that I think are rather interesting, I am not necessarily agreeing with all of it. So think of it as the Skin Care tips that you shouldn’t follow, or pick and choose the ones that work for you! Having good skin is an underrated facet of looking good, as many females will smother their faces with products to cover any blemishes or marks, but beautiful skin starts from beneath. Beautiful skin needs three things in order to thrive and be beautiful, you need to understand your skin in a way that you can match products, washes and moisturisers to your skin type. Whether your skin is dark, dry, normal, oily, sensitive or combination skin, finding out which class your skin comes under can only serve to help you find the right products as to complement your skin. The first step to think about when you are putting in a regime to look after your skin is to make sure your skin is as clean as possible. That doesn’t mean using all the harsh cleansers that are around twice a day as they can end up stripping your face and could quite possible give you rashes. The best way to look after your skin is to wash with a mild cleanser 3 times a day. The food you eat is used by your body to replenish the broken skin cells. Looking at your own diet when considering how best to look after your skin is one of the fundamental issues that can really swing the end result either way. If you eat a lot of oily foods then inevitably you will have oily skin and develop acne, whereas if you eat a lot of natural and healthy foods, your skin will replenish a lot cleaner. It also helps to drink a lot of water as this will help cleanse your body of toxins. As clichéd as it sounds, the third essential step to keep healthy skin is to exercise regularly. Exercise improves the circulation of blood around the body and as your skin relies on circulation to stay healthy. Another advantage of being active and exercising is that you sweat more, sweating more helps flush out your pores and contributes to healthy looking skin too. Small red swelling of the skin is known as pimples. Pimples are small pointed elevation of the skin , it may or may not be contain pus. Pimples are almost developed in young adults and teenagers due to the inflammation of skin. It appears on the face, neck and chest. You should wash your face with fragrance-free cleanser. 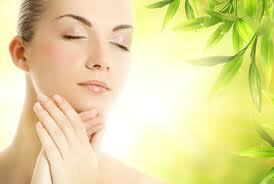 If your skin is greasy then use cleanser that contains benzoil peroxide. You never use scrub because it can cause breakouts. You should apply an oil-free sunscreen lotion your face in the morning. You should use an oil-free moisturizer and drying spot-treatment product before going to the bed. You should use a fingertip to wipe away excess concealer around the blemish. You should use a small makeup brush to concealer. If the makeup becomes cakey, wipe it off and again start. 1. Take ground drumstick pods and leaves. Mix together well with few drops of lime juice. Make a paste and apply on pimples. 2. Take equal amount of lemon juice and groundnut oil. Mix and form a paste. Apply on face and leave for about 15 minutes and wash off with water. It is good for prevent pimples. 3. Mix lemon juice into a full glass of boiled milk. Apply as a face wash regularly. It is a good face wash for pimples. 4. Fresh mint juice is a good treatment for pimples. Apply fresh mint juice over the face before going to the bed. 5. Take ripe tomatoes pulp and apply on the pimples. Leave it for one hour and wash off with water. 6. Take one teaspoon of sandalwood powder and 9-10 drops of rose water. Make a paste of sandalwood powder with rose water. Apply it over the face and leave for 15 minutes. Wash off with lukewarm water. 7. Take two teaspoon of roasted and pomegranate powder and 8-10 drops of lemon juice. Make a paste and apply it on affected areas of your face. 8. You should try a facial mud mask. It may shrink a pimple. 9. You should use the lightest-weight moisturizer and avoid overmoisturizing the skin. 10. You must drink 9-10 glass of water daily. 11. Juice of raw papaya is the best treatment for pimples. Apply fresh juice of raw papaya on pimples and get a good result. 1. Regularly shampoo your hair. 2. You should avoid unnecessarily touching your affected areas. 3. You should change your dirty cloths , always wear clean and fresh cloth. 4. Wash your face twice a day with mild soap. 5. You should avoid over make-up, only wear on special occasions. 6. Try to minimize your stress levels. 7. You should keep a food diary to work out. 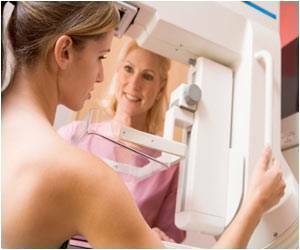 Though mammography rates have increased among foreign-born women residing in the United States, these women are still less likely to have undergone breast cancer screening than native-born U.S. women, results of a study showed. These study results were presented at the Fourth AACR Conference on The Science of Cancer Health Disparities, held Sept. 18-21, 2011, in Washington, D.C. Researchers at Pennsylvania State University believe that lack of access to health insurance and a regular source of health care are important factors related to the lower percentage of mammography screening among U.S. immigrants. “There is progress, overall, in use of mammography among foreign-born women in the United States, but there is still a lot of work to do to improve their use of recommended breast cancer screening,” said the study’s lead researcher Nengliang (Aaron) Yao, a doctoral student in health policy and administration. Yao and colleagues used data from the 2000 and 2008 National Health Interview Survey, conducted by the National Center for Health Statistics and administered by the U.S. Census Bureau, to look at mammography screening among immigrants and factors associated with use. Information on immigrants’ legal status was not included in the survey. Whether you’re trying to cover up grey roots, all-grey hair or salt and pepper colored hair, trying to hide your grey can be very challenging. Many women and men think they only have the option of using an at-home all-over color dye from brands like Clairol, but the truth is there are several options for trying to cover gray hair. Many people don’t realize they can use highlights to help hide their gray or silver hair. Because gray hair often has an ash tone to it, some people can get heavy highlights and the gray will blend in effortlessly. Those who have premature gray hairs popping up often choosing this option, as it allows them to look youthful while covering the gray patches. Remember, often premature gray hair is a genetic issue, not just an issue for old people! Highlights often allow you to go longer in between your regrowth touchups, as well. While low lights aren’t nearly as commonly used or popular as highlights, they work brilliantly to cover up small areas of gray hair. Low lights are pretty much reverse highlights, where the procedure is the same but the color tint used is darker than your natural hair color. This allows you to get rid of your gray, without having to dye all of your hair and is also great for long or short hair. If you have white hair all over your head or have so much you’d rather just dye all of it, choosing an all-over dying product might be best. Most often, it’s best to look for permanent (not temporary) dye, to ensure your gray gets maximum coverage results. If you’re experiencing any type of hair loss, going darker with an all-over dye can also often give the illusion of having thicker hair. If you’re dealing with smaller areas of gray hair, you might be able to use tinted shampoos to help you cover your gray. These shampoos are only temporary coloring agents, but if you use them on a daily basis you likely won’t have to worry about maintaining your color. It will be a part of your everyday routine! Use your hairline to your advantage! If your gray hairs are showing up mostly in your usual hair part, consider putting a zig zag part in your hair until you can get them touched up. This confuses the eye and can often camouflage your grays. Think about hair accessories. If even creating a new part doesn’t really hide your grays, think about wearing an adorable hat or hair scarf for the day. This is not a long term option, but it can help you out when you’re in a pinch! Aging doesn’t only wreck havoc on your body, but it can also cause changes in your hair. It’s important to reassess your hair as you age, which can mean you might need to change your hair products to match your changing hair characteristics. For instance, your hair may become more brittle, requiring you to use a more conditioning shampoo than you needed in the past. 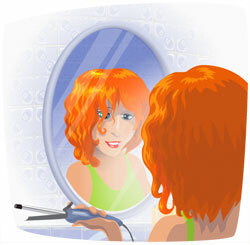 To get the best results with your hair, you’ll need to constantly be aware of its condition. Sometimes you don’t have time to cover your gray roots, but you might need a quick trick to disguise them for the moment. If you want to style your hair to cover gray hairs quickly, use these helpful tips!